A website in WordPress built in collaboration with the client who put a lot of time in the project to adding content. It is a perfect solution for people who have a lower budget and want to put time on their website. However, this requires knowledge of the system, but we are always there to provide training and supervised the client throughout his work on his website. 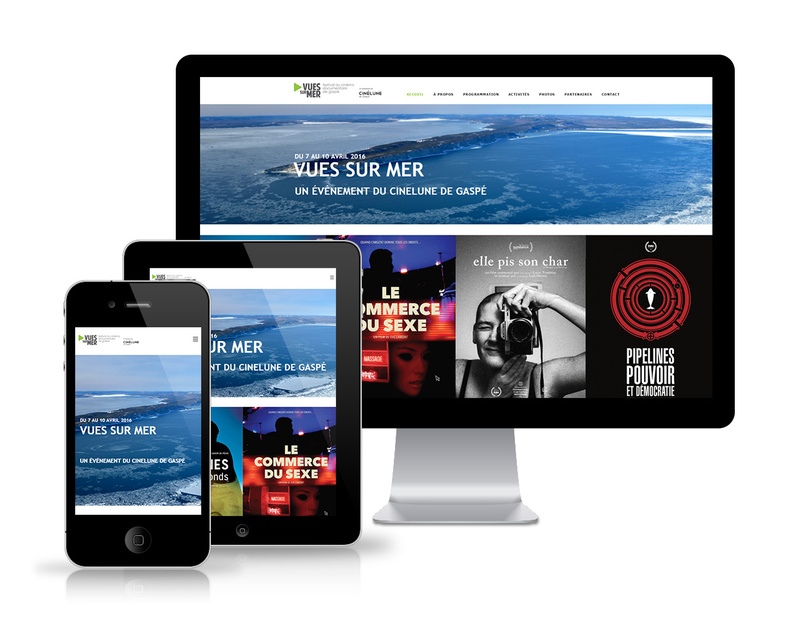 The Festival Vues sur mer mission is to offer the Gaspé population the chance to discover the richness and diversity of the author of documentary cinema with quality programming, many activities and enriching encounters with the Quebec film industry.